Seo an méid atá scríte sa chlár rialtais i leith na Gaeilge agus na Gaeltachta nua. We will support the 20 Year Strategy for the Irish Language 2010-2030 and will deliver on the achievable goals and targets proposed. We will undertake a thorough reform of the Irish curriculum and the way in which Irish is taught at primary and second levels of education. We will reform the curriculum so more emphasis is put on oral and aural skills. We will allocate 50% of marks to the oral Irish exam at Leaving Certificate level. We will aim to double the proportion of Irish students sitting the Higher Level Leaving Certificate exam by 2018. Gaeltacht regions will benefit from the jobs action plan outlined in this document. Under our proposals, we will deliver new job creation prospects to Gaeltacht regions. We will invest in energy, broadband and water infrastructure, creating the modern infrastructure needed to attract and support new businesses and jobs. We will also strongly support the potential for jobs in tourism and marine activities. We will continue to support the Irish language broadcasting and arts sector. We will review the Official Languages Act to ensure expenditure on the language is best targeted towards the development of the language and that obligations are imposed appropriately in response to demand from citizens. We will review current investment and funding programmes that benefit Irish language organisations in order to achieve visible value for money for citizens and tangible outcomes on a transparent basis. Foilsiú: 07/03/2011 . igaeilge a d’fhoilsigh. Ranganna: An Ghaeilge, Cúrsaí Reatha, Nuacht. Clibeanna: An Rialtas, Fine Gael, Páirtí an Lucht Oibre. Anois go bhfuil an Rialtas tar éis a admháil go bhfuil siad, faoi dheireadh, ag lorg iasachta ón gCiste Idirnáisiúnta Airgeadais is ón gCiste Eorpach Seasmhachta, tá caint faoi na h-áiteanna a thitfidh an tua. Ar na h-áiteanna a thitfidh an tua go luath, is cosúil, tá an íosráta phá. Mr Lenihan welcomed comments yesterday from German Chancellor Angela Merkel and French President, Nicolas Sarkozy, on corporation tax and said ‘The rate is not on the agenda’. He also said the minimum wage would have to be looked at. ‘It increased far beyond the rate of inflation’ over recent years, he said. Is dócha go bhfuil sin ceart. Ba cheart pionós a chur ar na glantóírí sna bainc agus sna oisbidéil is eile as ucht faillí na mboc mór, na bainisteoirí is na feidhmeannaigh mí fheidhmeacha. Mo bharúil féin: féach arís ar an uas-ráta phá – na tuarastail ollmhóra atá á n-íoc leis an dTaoiseach agus na Statseirbhísígh Sinsearacha, iad san a stiuraigh an státlong ar na gcarraigeacha, agus ísligh é sin. De réir mar a thuigimse, de réir gach dea chleachtas idirnáisiúnta, níor cheart go mbeadh an uasráta phá in aon chomhlacht níos mó ná deich oiread an íos ráta phá. Ciallaíonn sin, dar liom, go mba cheart ná beadh aon polaiteoir nó aon stat seirbhíseach ag fáil níos mó ná €100,000 in aghaidh na bliana – sin deich n-oiread an €10,000 (€200*52) a fhaigheann ár bpinsinéirí. Ní doigh liom go bhfuil aon locht ar €100,000 mar thuarastal. Ar ndóigh chuirfí stop láithreach le pinsin aon iar aire atá go fóill ag obair, bíodh sé taobh amuigh nó taobh istigh den Dáil/Seanad/Oireachtas. Is mó an tabhacht anois le deileail leis an eigeandáil seo ná bheith buartha faoi na ‘legitimate expectations’ a bhí ag na boic seo. Mura ngearrann an tua ón mbarr anuas, ní bheidh aon ghlacadh le na giorruithe níos giorra don talamh. Mura dtuigeann an Rialtas agus a gcuid leathbhadóirí sin anois, beidh daor orthu. Agus rud eile dhe, na craoltóirí ‘seirbhise phoiblí’ atá le cúpla bliain ag seanmóireacht ó chúl na mícreafóin, caithfidh siad san freisin fulaingt. Arís níor ceart aon duine acu bheith ag saothrú níos mó ná €100,000. Ní beag an méid sin – agus caithfear deireadh a chur laithreach leis an gcleachtas atá ag leithéidí Pat Kenny, Ryan Tubridy, Joe Duffy agus Marian Finucane, go bhfuil siad cláraithe ina gcomhlachtaí le gur féidir leo a dliteanas cánach a laghdú go sleamhain. Mura mbionn siad sásta leis an socrú sin, ba cheart dóibh a seolta a ardú agus RTÉ a fhagaint is post a fháíl san earnáil phríobháideach…. Tá fonn orm pairtí pholatúil a thosnú agus é mar aidhm ag an phairtí sin an salachar sa saol pholatúil a ghlanadh. Is é sin an chéad tosaíocht d’ár bPoblacht Nua. Ná bíodh dul amú orainn nó tá tús á chur le Poblacht Nua ar an lá inniu. Beifear ag maíomh gurb é an IMF atá i bhfeidhil an tí – ach is féidir linn ceannas a choinneáil ach bheith stuama is fad radharcach. An chead rud a chinnfeadh an pháirtí seo, ní bheadh cead aige aon airgead a chaitheamh ar feachtais toghcháin. Postaeir ar bith, fógraí nuachtáín ar bith, deontais ar bith. Sin é an túsphointe. Ní gá airgead a chaitheamh ar na nithe seo, a bhuiochas den idirlíon. Má tá na h-argóintí maith go leor, gheobhaidh siad éisteacht. Beidh an dul chun cinn ag brath ar dhuthracht na mball agus na ngníomhaí seachas ar fhlaithiúlacht na bhforbróirí. Cé bheadh páirteach ina leithéid? Aon tuairimí agaibh? Foilsiú: 21/11/2010 . igaeilge a d’fhoilsigh. Ranganna: Cúrsaí Reatha, Nuacht. Clibeanna: An Eigeandáíl, An Rialtas, An Stat Sheirbhís, Páirtí Nua, Poblacht Nua na hÉireann. Tuigtear dom go bhfuil fiosrú nua Rialtais le bheith ann faoi chás an iar oifigigh in Oglaigh na hÉireann, Dónal de Róiste. I 1968 cuireadh iachaill air Dhónal, ar dhriothar é le hAdi Roche, eirí as an Arm agus é 24 bliain d’aois. B’é Uachtarán na linne, Eamon De Valera, ar ordú ón Rialtas, a chuir iachaill air seo a dhéanamh. Tá go leor liamhaintí ann faoin chás seo agus nuair a deineadh an cás a fhiosrú theana, d’eisigh Aire Cosanta na linne, Willie O’Dea,ráiteas ag tabhairt le fios gur léirigh taifead na nOglach go raibh an cinneadh ceart agus cóir. De réir leabhar a scrígh an údar, Don Mullan, “Speaking Truth To Power’, tá an scéal níos casta ná sin. Ag an am, i 1968, deineadh De Róiste a cheistiú ar feadh roinnt laethannta ag ceannaras na nOglach. Nior cuireadh ar a thriail é. Níor cúisíodh é. Is amhlaidh gur díbríodh as an Arm é, le leas na seirbhíse a dhéanamh. Anois tá fiosrú eile le déanamh ar an gcás. Mar thoradh ar rún a mhol na Seanadóirí Eoghan Harris agus Joe O’Toole sa Seanad, tá an fiosrú seo orduithe agus seans, b’fhéidir, go nochtfar an fhírinne an uair seo. Seo sliocht ó alt san Irish Examiner faoin chás agus na cosúilachtaí idir é agus cás Alfred Dreyfus, an oifigeach in Arm na Frainnce, atá mar chás ‘celebré’ i stair na tíre sin. Having read Mullan’s book, I can’t help but draw parallels between de Róiste’s case and that of Alfred Dreyfus at the end of the 19th century. Dreyfus was a Jewish officer in the French army, falsely accused of spying and treason and locked up for years on Devil’s Island. The similarities arise from the fact that almost as soon as Dreyfus was convicted (by a secret court martial) everyone involved with the case came to know the identity of the real culprit. But rather than admit a mistake, cover-up after cover-up was perpetrated. Eventually, the famous French writer, Émile Zola, became convinced of Dreyfus innocence. He wrote and published a famous open letter to the president of France, highlighting the injustice involved. His letter was known as “J’Accuse” (I accuse) and in it he set out an entire list of people who were involved in the original injustice to Dreyfus, as well as others who knew and did nothing to prevent it. He accused seven senior officers of being involved, three handwriting experts of contributing to the deceit, and he accused the French department of defence of using media manipulation — spin, we would call it nowadays — to cover up its own involvement in the destruction of Dreyfus. Zola’s accusations were so outrageous that he was put on trial for slander and defamation. But, guess what? They all turned out to be true. The Dreyfus case was one more example of a system unable to admit an injustice, because to admit it would reflect badly on the system. I have a funny feeling that sooner or later, Don Mullan will be seen as a modern Zola. I DON’T think I’ve ever met de Róiste. He is the brother of Adi Roche, one of the people I admire most. When Adi was running for the Presidency some years ago, some fairly vicious people resurrected the story of her brother’s “disgrace” (which would have happened when Adi was about 14) as part of the dirty campaign against her — a campaign that is now fairly widely acknowledged as being one of the dirtiest ever seen in Ireland. I advised Adi throughout that campaign, and was foolish enough to believe the Irish media would not use the Dónal de Róiste story. But use it they did, and, to this day, some of them haven’t suffered a pang of shame. Beidh le feiceáil cén toradh a bheidh ar an gcás seo. An bhfaighidh Dónal de Róiste cothrom na féinne faoi dheireadh? Foilsiú: 11/03/2010 . igaeilge a d’fhoilsigh. Ranganna: An Ghaeilge, Nuacht. Clibeanna: Adi Roche, An Rialtas, Dónal de Róiste, Don Mullan, Eamon De Valera, Eoghan Harris, Joe O'Toole, Seanad Éireann. D’eirigh Martin Cullen as an Aireacht Ealaíon, Spórt agus Turasóireachta is a shuíochán Dála trathnóna inniu de bharr cúinsí sláinte. Ní eirí as gan coinne é seo ach, ag an am chéanna, fagann sé an Chomhaireacht agus an chuma air gur long é atá ag dul béal faoi agus na franncaigh ag teitheadh ón soitheach chomh tapaidh is a mbéarfaidh a gcosa iad. Ar aon nós, bhí súil le fógra foirmeálta ón dTeachta Dála ó Phort Láirge uair eigean anocht agus, b’fhéidir, le linn chlár nuachta TG4, rud a bheadh ina bónas deas do staisiún Bhaile na hAbhann dá dtárlódh sé. Bhí tuairisc acu sa channa agus muintir na nDéise á chur faoi agallamh faoi ‘imeacht a nAire’ agus craoladh é sin ar eagla na h-eagla. Sa deireadh thiar, níor fhógair an Aire a eirí as go dtí 7.30in agus Nuacht TG4 díreach criochnaithe. Ach amháin nach dóichí go bhfuil a fhios ag an tUasal Cullen Nuacht cé acu an bhfuil Nuacht TG4 ann nó as, cheapfá gur díoltas pearsanta a bhí á ghlacadh aige as ucht rud éigean a thárla roimhe seo. An rud is mó a chuir as dom faoi thuairisciú Nuacht TG4 ar an imeacht pholatúil eile seo, an ceathrú imeacht ó bhínsí an Rialtais i gceithre sheachtain, gur dhírigh an clár nuachta ar an eifeacht áitiúil pharóistiúil i bPort Láirge seachas ar na h-earnálacha a raibh faoina chúram mar aire; Ealaíon, spórt agus turasóireacht. Cá bhfuil bhúr súil eile imithe, Nuacht TG4? Níl a fhios agam an raibh eifeacht dá laghad ag Martin Cullen ar shaol an ghnath Dheiseach [seachas ná raibh sé ábalta seasamh ar a son nuair a chaill oibrithe Ghloine Phort Lairge a bpostanna]. A fhaid is atá an cur chuige seo ag comhfhreagraithe pholatúla na meáin, ní bheidh aon athrú ar an saol pholatúil sa tír seo. Tá chuile rud ag brath ar cé acu an bhfuil nach bhfuil Aire i do Dháil cheantar agus, anuas ar sin, an bhfuil sé nó sí ábalta a dhothain votaí a ghnóthú ‘óna thaobh’ den Dháilcheantar agus más féidir leis, bhuel, ní bhacfaidh sé leat in aon chorr! Sin é ár dtaithí ar an Aire Oideachais, Batt O’Keeffe, mar shampla, nár thóg a láimh chun rud ar bith a dhéanamh maidir le cur chun cinn an Ionaid Náisiunta Oideachais don Ghaeilge ag Coláiste Iosagáin atá ar an dtaobh mícheart dá thoghcheantar. Ach sin mise ag eirí paróistiúil! Is mór an trua nach bhfuil fíor súil eile againn i dtuairisciú nuachta na tíre seo go fóill beag! Foilsiú: 08/03/2010 . igaeilge a d’fhoilsigh. Ranganna: An Ghaeilge, Cúrsaí Reatha, Cultúr, Nuacht. Clibeanna: An Rialtas, Comhrialtas FF/Na Glasaigh, Eirí As, Fianna Fáil, Martin Cullen, Na hEalaíon Spórt agus Turasóireacht. Tá sé chomh maith dom bheith ag iarraidh brí a bhaint as an leabhar is déanaí ó Dan Brown agus bheith ag iarraidh ciall a aimsiú i ráiteas de chuid an Tánaiste, Máire Ní Chochláin, is dóichí. Agus í ag labhairt inné nuair a h-osclaíodh Oireachtas na Gaeilge go foirmeálta i Leitir Cheanainn, dúirt sí nach mbeadh aon athrú shuntasach ar chur chuige an Rialtais maidir leis an nGaeilge agus leis an nGaeltacht agus thug sí leid go mbeadh ‘dea scéal’ don Ghaeilge is don Ghaeltacht á fhógairt go luath, amarach b’fhéidir, ag an Aire Ghnóthaí Pobail, Tuaithe agus Gaeltachta, Éamon O Cuív, nuair a labharfaidh seisean ag ocáid atá á reachtáil ag Conradh na Gaeilge ag an Oireachtas. Níl a fhios agam cé acu an mbeidh an tAire O Cuív sásta gur ghoid an Tánaiste cuid dá chuid éadaí ach ní h-eol dom aon dea scéal go bhféadfadh an Aire a fhógairt ach go bhfuil sé ag foilsiú an phlean atáimíd ag feitheamh ar le tréimhse fada anois, an Plean 20 Bliain don Ghaeilge is don Ghaeltacht. Tá an tAire tar éis seal fada a chaitheamh ag suí mar chearc ar an ubh áirithe seo – agus tá sé thar am go mbeadh toradh a shaothar le feiceáil. Is cinnte nár cheart aon fháilte a chur roimis mura bhfuil sé ag fógairt an phlean. Is é seo ocáíd atá réamh dhéanta don cineal seo fógra – ach is dócha, freisin, go mbeadh sé níos fearr arís é a dhéanamh ag ocáid ag a bhfuil an Rialtas ar fad ann chun tacaíocht uile ranna a léiriú don phlean. Bheadh suim agam, go h-áirithe, leithéidí Ní Chochláin féin, An Taoiseach, an tAire Oideachais agus Eolaíochta agus an tAire Airgeadais a fheiceáil gualainn ar ghualainn leis an tAire Gaeltachta agus é ag déanamh an fógra. Níos tabhachtaí ná an phlean ná cur síos ar an modh oibre chun an plean a chur i bhfeidhm agus léargas ar na h-acmhainní a bheidh ar fáil as seo go deireadh théarma an Rialtais seo i leith an phlean. Ach más amhlaidh go bhfuil an Rialtas sásta leis an ‘status quo’ ar an gceist seo – mar atá ráíte ag Ní Chochláin a bheag nó a mhór – caithfear teacht chun tosaigh le modh oibre nua agus is sinne a chaithfidh sin a dhéanamh beag bheann ar an Rialtas. Neosfaidh an aimsir céard atá le rá ag an Aire – ach níor cheart bheith ag brath ar an Aire seo nó ar Aire ar bith chun na h-oibre seo a dhéanamh. Ní léir go bhfuil an samhalaíocht agus an tuiscint ann chun tabhairt faoin obair. Chun a bheith cinnte go ndeinfear an obair, is linn féin an imirt. Foilsiú: 30/10/2009 . igaeilge a d’fhoilsigh. Ranganna: An Ghaeilge, Cúrsaí Reatha. Clibeanna: An Rialtas, An tAire Ghnóthaí Pobail Tuaithe agus Gaeltachta, Conradh na Gaeilge, Oireachtas na Gaeilge, Plean 20 Blain na Gaeilge. Is aisteach an scéal é nuair a mhothaíonn Pádraig Ó hAoláin, príomh fheidhmeannach sár eifeachtach Údarás na Gaeltachta, aerthonnta Raidió 1 a thabhairt air féin chun achainí a dhéanamh ar an Roinn Airgeadais airgead atá geallta don eagraíocht chun spreagadh a thabhairt d’fhostaíocht sa Ghaeltacht a chur ar fáil. Chuala mé eireabal an scéil ar Morning Ireland – agus cé go bhfuil an tUasal Ó hAoláin dóchasach go mbeidh réiteach ann ‘laistigh de mí nó dhó’, fagann an údar go bhfuil sé ag déanamh gearáin sa chéad dul síos go bhfuil ceist ní h-amháin faoi choimitmint an Rialtais don Ghaeltacht is don Ghaeltacht ach don obair is tabhachtaí a bhféadfadh Rialtas bheith ag déanamh sa Stát faoi láthair, ag cruthú agus ag cothú postanna fiúntacha. Maith thú, a Phádraig, as seasamh suas agus do chuid a rá gan eagla. Mo náire sibh, a Roinn Airgeadais agus a Rialtais. Foilsiú: 03/07/2009 . igaeilge a d’fhoilsigh. Ranganna: An Ghaeilge, Cúrsaí Reatha. Clibeanna: An Rialtas, An Roinn Airgeadais, Maorláthas Ar Mire, Udarás na Gaeltachta. In alt san Irish TImes , chuaigh an Ollamh Ray Kinsella go cnámh na h-uilinne. We are looking at a fracturing and realignment of political institutions which do not speak to the sensibilities of a young generation they have beggared, nor to the needs of those who felt themselves entitled to something better having contributed much of their lives to the development of the Irish economy. We need a realignment of politics in Ireland – we need democratic choices that mean something to contemporary society. We need a sense of right and wrong. We need a whole new political ethic premised on values-based leadership. We need to engage individuals who have little interest in power as such, who have a commitment as well as a widely acknowledged expertise that is capable of restoring trust, confidence and a sense of direction. 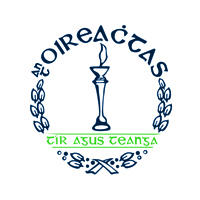 Is annamh gur aontaíos an oiread le h-alt is ar aontaigh mé leis an alt seo ón Dr. Kinsella, údar leabhair úir, Restoring Trust In Banking, a bheidh á fhoilsiú an mhí seo chughainn. I 2007, roimh an olltoghchán, scrígh mé alt do Lá Nua ag déanamh tuar thubaisteach d’Fhianna Fáíl san olltoghchán sin. Más buan mo chuimhne bhí an páirtí chun breis is 30 suiochán a chailliúint de reir na h-anailíse a rinne mé. Cuid de na cúinsí a luaigh mé san alt sin leis an dtuar, tá siad luaite san alt ag an Dr. Kinsella inniu. Conas a fhéadfaí rialtas a rinne scrios, fiú i ré an rachmais ar an gcóras sláine is ar an gcóras oideachais, a athtoghadh? Sin a rinneamar. Ciall cheannaigh níos fearr ná an dhá chiall a mhúintear, deirtear. Tá súil agam go bhfuil sin amhlaidh. The most recent assessment of the global economy by the International Monetary Fund – and its evaluation of Ireland’s financial sector – makes sombre but not unexpected reading. The most recent Central Statistic Office data for the final quarter of 2008 shows a sharp decline in investment. Meanwhile, the live register is now escalating and is set to reach new levels before the end of this year. This would strain the most robust and inclusive political system. In the case of Ireland, which faces both local elections and a contentious referendum, there is every possibility that what has happened will test the limits of tolerance of a population that is not without experience of the pains of unemployment and emigration. Tá an IMF anois ag moladh go ndéanfadh an Rialtas sealbhú sealadach ar na bainc, d’fhonn iad a shabháil. Seo an IMF céanna a bhí ag moladh do gach tír gach saoráid phoiblí a phriobháidiú le blianta beaga anuas – agus féach cár fhag sin sinn? Gan córas teileachumarsáide atá inchurtha le riachtanais na linne seo! Tá an chosúlacht ar an scéal go bhfuil an tír seo á rith de réir eiteois an IMF – seirbhísí sláínte á ghearradh, acmhainní á cheilt ar an gcóras oideachais is eile. Agus is beag is fiú an ‘íbirt’ atá déanta ag an Rialtas, báta agus bóthar a thabhairt do seachtar Aire Stáit, amhail is go bhfuil brí le sin. Níl ann ach sorcas. San anál céannathug an Taoiseach le fios nach mbeadh an Rialtas ag baint na bpinsin ó iar airí rialtais atá fós ina dTeachtaí Dála. Agus nach mbeadh na h-iocaíochtaí fad seirbhise a cheilt ar na Teachtaí Dála. Gabh mo leithscéal, ar thárla go raibh agóidí ar na sraideanna ag an dhá ghrúpa ‘íobartach’ seo nár thug mé faoi ndeara? Nó an é gur thug leithéidí Bertie Ahern is eile le fios nach mbeadh a vóta ar fáil ag an Taoiseach úr dá gcuirfí an ciorrú €150,000 in aghaidh na bliana i bhfeidhm air? Cad a tharla ar chúl téarmaí chun an athrú poirt seo a spreagadh? Foilsiú: 23/04/2009 . igaeilge a d’fhoilsigh. Ranganna: An Ghaeilge, Cúrsaí Reatha, Nuacht. Clibeanna: An Irish Times, An Rialtas, An Taoiseach, Brian Cowen, Ciorruithe.